The world is still talking about bitcoin and cryptocurrency in general, but there seems to be a consensus already: blockchain technology is the bigger deal here and it is probably going to be one of the biggest disruptions of the next decade. 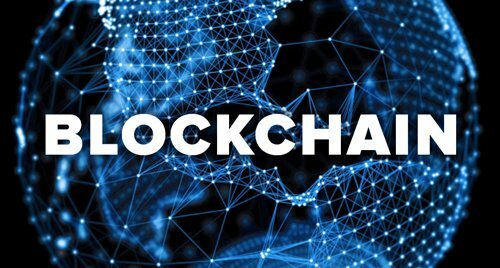 To put it a little more clearly, blockchain is a digitized decentralized ledger that records all transactions made using cryptocurrency. It makes all these transactions available to the public as the ledger is open to anyone. These two factors – the decentralization and public access – are making this technology the real MVP here. Initially, the technology caused a stir but things seem to be settling down and it seems nothing but good news coming from the main sectors that drive economies – banking and tech sectors. In about four years, it is expected that the market will reach over $7.7 billion in blockchain-related services. Blockchain technology has done a number on these three sectors and it is only getting started. The health sector has been under pressure to automate medical records so that they can be accessed by other medics more easily. While the main stakeholders took their time, MedRec, an MIT-backed initiative started a program that is running ion blockchain technology, creating medical histories for families that can be passed down generations. Implemented under the Etherium blockchain, this technology utilizes smart contracts that are conflict free as they set the rules for the exchange of money, good and services, and they also set penalties for default. Since fraud has become rampant in the world, one would rightfully question the safety of this medical data once it’s on the chain. MedRec ensures security by encoding the metadata even while making it available to patients and healthcare providers al over the world. Ever since the 90s, the music sector has been striving to balance availability of music and loyalties. Sadly artists haven’t always been paid for their efforts as people have found ways to illegally stream music. Enter Imogene Heap, a British singer-songwriter and her service, Myceria. This block-chain supported platform allows artists to push for smart contracts without the need for lawyers, accountants, and labels. These contracts are executed directly to artists without the involvement of other parties. This platform is not the only one that is changing the way music is distributed. SingularDTV is yet another one changing the way artists make music in the US and it is only a matter of time before the world catches up. HR departments all over the world spend time compiling reports about employees – both current and potential – and aligning them with their jobs. That leaves little time for payroll management, a function that is central to HR departments world over. This area is a potential beneficiary of blockchain technology, seeing as globalization has changed the workplace as we knew it. A recent invention by a San Francisco startup, Bitwage, is revolutionizing the payroll system as we knew it by eliminating the middlemen and facilitating payroll services faster than before. So, whether the world is ready or not, blockchain technology is here to disrupt and change things as we knew them. Whether you are a tech giant or a French tutor, this technology will, in one way or another, change your view of business.